I wanted to reach out and go over some details for your upcoming mini session. 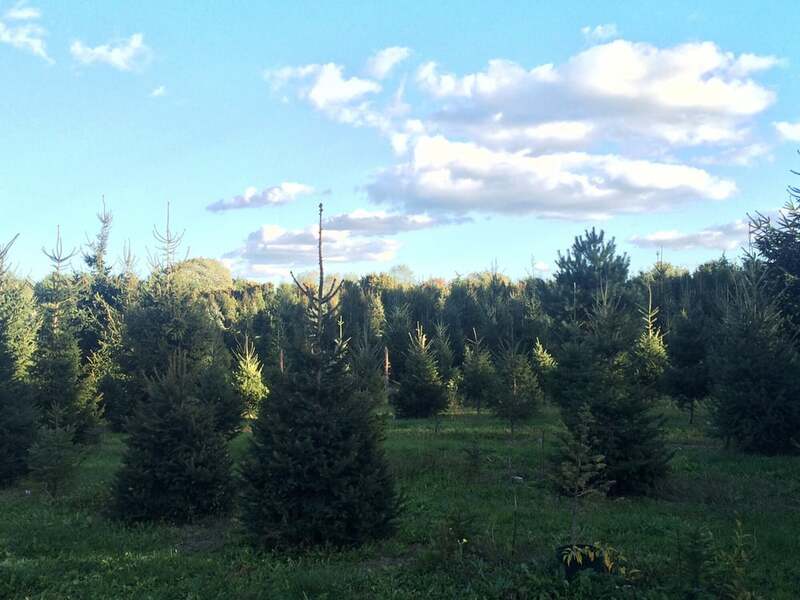 We will be shooting at Elwood Christmas Tree Farm in Huntington, NY. The morning of your shoot, I will send out a text with our exact location within the farm & any extra tips to make sure your sessions runs as smooth as possible! If you have ANY trouble finding me please reach me on my cell at 718-864-1180. Our backdrop for your shoot are these beautiful rows of evergreen trees! There is no formal seated setup, However, I will have props available to you if you choose to incorporate them. Available props include a red plaid blanket, Christmas wreaths, multiple signs, a wooden crate to sit little ones or display props, and non-glass ornaments. If you would like to incorporate anything specific or personal, feel free to bring it along to your session! For young children, please plan to get in their nap and a filling lunch before your session (if applicable) Feel free to bring anything else that may make your child feel comfortable. Small snacks (Cheerios, Puffs, etc.) work great even in between shots and aren't messy! A favorite small toy, or music may help put them at ease. You know your child best. This year, I will also be bringing along an actual treasure chest filled with candy canes! Feel free to use the treasure chest to motivate your child. If necessary, we can keep the chest visible & they can choose treats from the treasure chest at the end of their session. If you do not want your child to be given the option, please let me know and I will tuck it away during your session. For final payments, please bring a check or the exact amount in cash in an envelope with your name on it. This ensures that money handling does not cut into your shoot time. All mini sessions are booked back to back. There are only a few minutes built in between every session. For this reason, it is critical that you are on time. I will not be able to extend your session past the end time indicated on your contract if you are late arriving. Please arrive 5 minutes before your session officially starts. If arriving before that time, please be respectful to the other families. Having an audience (of strangers) may distract young children or make people uncomfortable, so please keep a little bit of distance between you & the family that is shooting while you wait your turn. Should it rain( or snow) on Saturday, your session will be moved to Sunday as noted in your contract. You will retain the SAME APPOINTMENT TIME as Saturday. Should the weather require a reschedule, you will be notified through email as we get closer to our session date and the forecast becomes more reliable. If it is very cold, please dress your children warm for their session and bring hats, gloves, blankets, etc. These can be incorporated into the shoot, or used in between shots. It may also be fun to bring them your child some hot cocoa in a cute cup or mug. I would love to have this available at the session- but due to the duration of the sessions- it would not stay hot. I am pleased to partner with Minted.com this year. Use the code HOLPHOTOJLAM to get 20% off your order of Holiday Cards and PHOTOPROJLAM to get 15% off year round. Of course, you can choose to order cards from anywhere you wish!